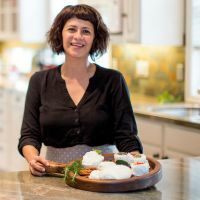 When I set out to try my hand at cheesemaking, I was surprised at how difficult it was to find supplies as well as perplexed by the complexity of most recipes. After all, cheesemaking has been going on for thousands of years. Should it really be this complicated to try it in a modern kitchen? As it turns out, making fresh cheese is a simple skill that has become lost in the past few decades of quantity over quality. Since 2009, we at Urban Cheesecraft, have been on a mission to deliver innovative products and tools that enable anyone interested to discover, explore and create delicious cheeses with confidence and ease. 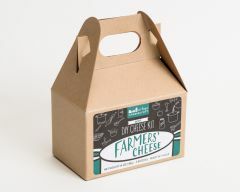 We offer a wide variety of cheese kits and instructional books for both traditional and dairy free, Vegan, and Paleo cheeses. 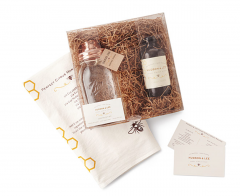 Our kits are made in the U.S.A. and we only source high quality, all natural, non-GMO ingredients. Our aim is to make it easy and accessible to get started and to continue on. There’s a low investment in time and cost but high reward in self-sufficiency and quality! 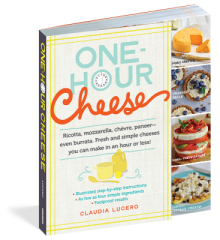 In most cases, you can enjoy a variety of different fresh cheeses made in your own kitchen in less than an hour. 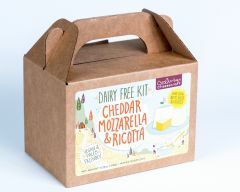 The Urban Cheesecraft kits include everything you need to make the cheeses along with easy-to-follow instructions; just add your choice of milk for traditional cheeses or choose nuts, seeds, veggies and white beans to make delicious dairy-free cheeses. Try it and you won’t believe you didn’t do it sooner. Did you run into a surprise result? Don’t worry, a simple adjustment usually solves the issue. 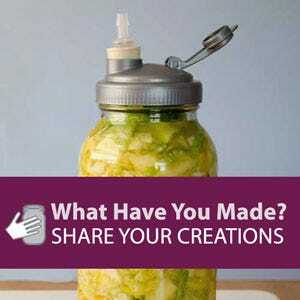 Below are the questions and issues we run into from time to time regarding recipes in our kits. If you don’t find what you need here, feel free to reach out with specific questions. 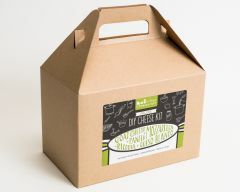 Do note that the advice given is directly related to our kits recipes only. You may find some help here even if you didn’t follow one of our recipes, but we encourage you to contact the creators of your particular recipe for most direct assistance. Thanks for stopping in! Don’t toss your results immediately just because something didn’t turn out as expected. When it comes to quick, fresh cheeses, if it tastes good, simply rename it and use it! It is probably a true cheese somewhere in the world, it’s just not the one you set out to make. If you love it; note the conditions, milk used, any “mistakes” you know you made etc. That way you can reproduce it in the future! Follow through with draining your results through cheesecloth and salting the cheese to your taste. If it’s too loose and creamy, you have ricotta or cream cheese. If it’s too crumbly or firm, you have queso fresco or paneer! Be creative and resourceful. Most cheeses are the results of happy mistakes and discoveries invented out of necessity anyway. Enjoy the process and your discoveries. They all add up to the craft that is cheesemaking. For next time, think through the steps again, re-read the recipe; was there something you missed? Often, it’s a matter of rushing through a step (cutting curd after adding rennet) or taking too long in another (heating). The important thing is not to get discouraged and try again! How can you make goat cheese in 1 hour? Our kit makes an easy, beginners’ goat cheese similar to ricotta or other farmer cheeses. Chevre just means goat in French so it covers an endless variety of cheeses made of goats’ milk. Aged and cultured goat cheeses require more time, rennet and added cultures. We may offer more advanced kits in the future but for now, this is a great start. As you will see there are endless varieties you can make if you incorporate different spices, herbs, and shapes. Have fun experimenting! Note- If you have made other fresh cheeses with cow milk you may be expecting the curds to look like the same with goat cheese (big and chunky). You will still see the curdling happen when you add the acid but it is a lot more subtle. 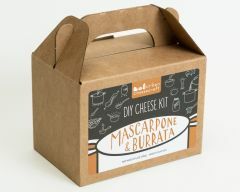 Just drain in the fine cheesecloth included in your cheese kit and you will end up with wonderful, creamy cheese. Always, always follow through, cheese has a magical way of working out. 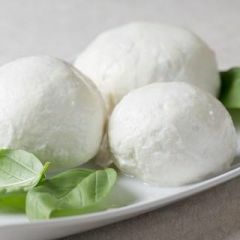 My mozzarella is like cream cheese. It never firmed up. This is usually because the curd did not get a chance to release enough whey making the final cheese contain too much moisture. To make sure you take things slowly, stir the rennet in when the milk hits 90 degrees Fahrenheit. Stop stirring after about 15 strokes and heat milk to 105 degrees. Turn off the heat and cover the pot for 10 minutes. Turn the heat back up and heat the curd to 110. Lower the heat to the lowest setting when you have a clean break (a very clean slice that fills with whey immediately- if the whey is still milky, allow the pot to sit for another 15 minutes off the heat). After cutting the curd into (more or less) one inch pieces, allow the cubes to cook/shrink in the hot whey for 1-2 minutes undisturbed. Then, move them ever so slowly in the whey while checking the bottom of the pot for larger pieces and cutting them as you go if needed. At least 90% of the curd pieces should lose their sharp cut edges (they’ll look more like scrambled eggs than yogurt) and a piece should be able to be held without running right through your fingers. This happens within 2-3 minutes as you slowly move the pieces in the warm whey maintained at 105-110F. It’s a subtle difference but a very important one. Patience pays off here. Turn off the heat and proceed to drain the curd, then heat it with your chosen method for the stretching steps. Getting the taffy-like mozzarella stretch is extremely dependent on proper heat. More than likely the temperature wasn’t right when you microwaved it or heated it in hot whey or hot water. Or some of it stretched and the rest cooled. Note: You may have read that the stretch depends on the PH of the curd and it does, however, our kits use citric acid so the PH is controlled and consistent. We do not create acidity with cultures. That is when PH is more of a variable. We don't have to worry about that part! Aside from using a thermometer, you can test for stretchiness by taking a small marble sized ball and kneading it, if it is rubbery, gets shiny and stretches, you’re on your way! It helps to stretch in batches; split the curds into 4 parts and stretch one part at a time. Keep your water or whey on a low simmer so you can add more to your bowl when it gets cool. Dump the cooled water or whey out for maximum heat. Fold the curd at least 10 times after each heating to make sure that the heat is evenly distributed. Work quickly and continue heating. Add another 30 seconds if it seems a little stretchy but not quite shiny. Overheating will make the final result dry and yellowed so only add an extra minute. Fresh cheeses that are not aged (like cheddar) are mild in flavor but you can add salt, spices and herbs for delicious flavor. 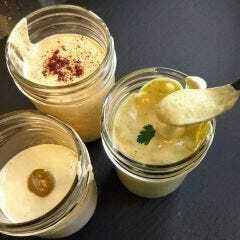 When we add it at home it may seem like a lot, but don’t be shy (add a little, taste, add more, taste). Cheese salt is flaky/fluffy so it’s not as “salty” as your usual table salt. For more flavor or if you are on a salt-restricted diet, try dry pepper flakes and herbs or spices. Smoked paprika and lemon pepper (usually contains garlic) are big flavor boosters. Have fun experimenting! Don’t toss immediately just because something didn’t turn out as expected. You’ve used real food, valuable ingredients and unless you added 10 times the salt or accidentally used sugar instead, chances are your creation can be turned into something edible and dare we say, even delicious! Too salty? Try adding a ½ cup of water to your results in the blender. Blend, taste and adjust with more water if needed. Simmer once again if the original recipe called for it. You can even add more nuts, seeds, beans or veggies 2 tablespoons at a time if necessary. Again, taste and adjust if needed. The result will likely make a nice spread or sauce. Not flavorful enough? 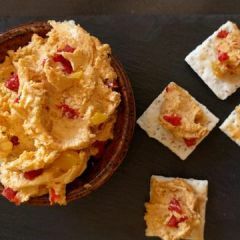 Adding one these popular flavors at a time, in these calculated quantities usually helps- big pinch of salt OR, a teaspoon nutritional yeast or miso (both are salty so use caution), ½ teaspoon smoked paprika, ¼ teaspoon Dijon mustard OR, a squeeze of fresh lemon juice. These are helpful because they impart umami and tangy flavors- all classic cheese qualities we love. What is the best way to melt these cheeses? Our dairy-free cheeses get nice and gooey but they will not melt in a stretchy manner just like dairy cheese. The best melty result happens with quick, high heat like that of a microwave or a broiler. Careful though, when you melt one of the cheeses that calls for a majority of nuts or seeds, you can go from melty, to deliciously crusty on top, to thoroughly crunchy and cracker like. This is a lot like dairy cheese but it happens more quickly. My cheese is more of a spread than a solid cheese. It’s possible that the agar did not simmer and therefore activate. Heat mix at level 4 out of 10 in order to get there without heating too quickly and having the oil separate. Be sure you see bubbles and then continue to heat on low (level 2-3) until the batch is uniform in texture and thickened considerably. For this batch, enjoy it as a spread. 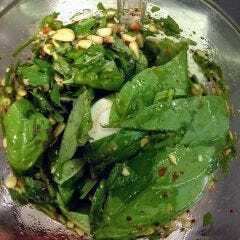 You can roll it into a ball or log and cover it in crushed nuts or cracker pepper for presentation. The oil separated from the rest of the ingredients when I simmered my cheese. This is not common with the ratios given but it can happen if you add extra oil or if you heat at too high of a temperature. Simmer gradually (level 4 out of 10 or just below medium heat) and then turn the heat down to medium-low (2-3). Once you see the mixture thicken and get shiny and uniform in texture, stop heating. It is possible to go too far. My blender is not high-powered- can I still make smooth and creamy nut and seed cheeses? Yes. There are several tricks that help. Soaking- It is very important that you soak nuts and seeds for 8-24 hours depending on how hard they are. Alternatively, you can boil them for 20-30 minutes to soften. Blending- You may need to run your blender or food processor for as long as 10 minutes, as well as stop to scrape the sides and stir in between. Careful! Be sure to unplug the device when you do this. Straining- Use fine cheesecloth or a metal sieve to strain your mix and catch and small nut or seed bits that just won’t blend. Can I re-use the cheesecloth? Rinse with cold water immediately after you finish using it. Handle gently and it should last you a good while before it develops holes. It may look very wrinkled right out of the washer but if you rinse it in water and wring it before lining your colander, it will stretch back out nicely. As a bonus, it won’t slide as you pour curds and whey through it. Raw (unpasteurized) or lightly pasteurized and unhomogenized (or homogenized is ok too). The most important thing is to avoid ultra-pasteurized milk. Often, local milk will be less processed because it is not prepared for long storage. Do you need goat milk to make goat cheese? Yes. Our kits were not tested with powdered, evaporated or canned goat milk. Goat milk can be a little tricky to work with than cow’s milk so its quality and freshness is even more imperative. Raw milk from a local farm. This milk is ideal and creates the best curd. Not all states allow raw milk sales from farms. Unhomogenized, unpasteurized (raw) milk from a local co-op. It worked great and was local which is a bonus. Not all states allow raw milk sales in stores. Pasteurized milk from a local co-op. It was local and that usually means that it is minimally processed. Worked great. Pasteurized Summer Hill quarts from California sold at Trader Joes in Portland and other stores elsewhere. Purple quart by Meyenberg- ultra-pasteurized. Loose curd, barely ricotta. Not recommended, especially for any recipe that calls for rennet. My milk never formed a curd or the curd was wimpy! Sometimes you can just cover the pot (heat off) and leave it for 15-45 minutes, come back and like magic, you have coagulation! Try a couple of things before you resort to tossing the milk. If you used it, check that your rennet is fresh- it loses power when left at room temp or kept for a long time. See your kit for a best by date. Visit our shop for fresh rennet. Check that your thermometer is reading accurately. Without some proper warmth, your rennet will not activate. Place the thermometer in a cup of ice topped off with water- does it read 32 degrees Fahrenheit or very close? If not, adjust the nut under the face with a wrench until it does. Are you making a fast goat cheese or ricotta kits? 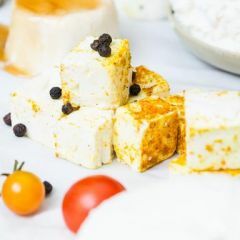 Small curds are not unusual with fast goat cheese and with ricotta in general. If you use fine cheesecloth to strain, you should end up with nice creamy cheese. Do you possibly have ultra-pasteurized milk? 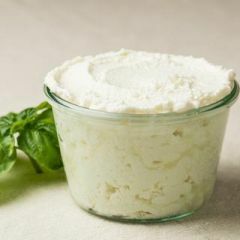 If you weren’t after ricotta or goat cheese and your curds never progressed, you probably have ultra-pasteurized or ultra-heat pasteurized milk on your hands. It seems dairies are not required to label this milk as such and you should know that even organic dairies are doing this to the milk for longer shelf life. I have found good milk by trial and error and have actually called customer service phone lines to ask (usually a 1-800 number on the carton). This has worked well for me. Just a note though, I have found most of my “errors” still resulted in a cream cheese that was nice. Taste yours and use it! Also see section above about My Mozzarella is like cream cheese. It never firmed up. Can I use almond milk etc. with your dairy kits? No, sadly the science just doesn't work in the same way. 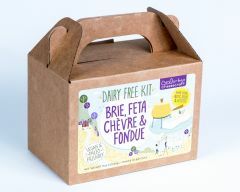 We do have dairy-free cheese kits though! They call for nuts, seeds, veggies and even beans. 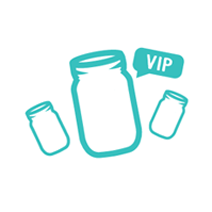 Can I reuse the cheesecloth? I think my metal probe thermometer is broken. Your cheesemaking process could be affected dramatically if your thermometer reads 60 degrees Fahrenheit when the milk is really 110! Luckily, it’s probably not broken, it just needs to be re-calibrated. All you need are some pliers and a pot of boiling water or an ice slurry. An ice slurry is a cup full of ice, topped off with water. Dip the thermometer and read after one minute. It should read 32 degrees Fahrenheit or close. No ice? Heat water to a rolling boil. Dip thermometer in at least two inches of water. It should read 212 degrees Fahrenheit or close. Use a wrench or small pliers to turn the nut under the thermometer dial (face) and turn it until the needle reads the correct, known temperature of the ice (32°F) or boiling water (212°F). Are the kits perishable- how long are they "good?" We put ‘best by’ dates on all our kits. The kits without rennet tablets are good indefinitely as long as you keep the salt and citric acid dry. The kits that include rennet are good for 1 year minimum at room temp, and at least 2 more years if you keep the rennet in the freezer! So, don't put off your shopping. Avoid the rush and shop ahead. Can you leave out the invoice? We never include paper invoices! Our full focus is on getting these kits made and shipped for you promptly- sorry we cannot gift wrap for you at this time. Which kit is best for beginners? All of our kits are all meant for beginners but some are easier than others. The Paneer and Queso Blanco kit is super easy and yummy! Great for kids too, just call it fresh cheese. Please allow for 1-2 business days from time of purchase for your order to process. Once the order has been processed it will take between 1-5 business days to be delivered depending on your choice of shipping method. Urban Cheesecraft can not guarantee specific delivery times. Shipping times are estimated and may vary depending on the distance of the shipping address from our distribution center. Tracking number is provided with all purchases. To get a return authorization, please contact us within 7 days of receiving your product. Our policy lasts 30 days. If 30 days have gone by since your purchase, unfortunately we can’t offer you a refund or exchange.